Prepare yourself for a successful career in Stage Management by studying at Royal Birmingham Conservatoire. Our BA (Hons) Stage Management degree provides in-depth, practical training; we aim to produce confident graduates who are ready for a successful career in the industry as soon as they leave us. You’ll gain authentic industry experience while developing the vital skills needed in each role of a stage management team. As part of BCU’s commitment to providing excellent student experience, the content and structure of this course is being refreshed to ensure that it continues to meet the highest educational standards. This page will be updated with the revised course documentation by 30 June 2019. Our three-year course provides you with a thorough understanding of all aspects of stage management. You’ll also develop an understanding of the core skills in technical theatre and the design elements, widening your knowledge and ability to work in the fast-paced, demanding environment of stage management and further afield. 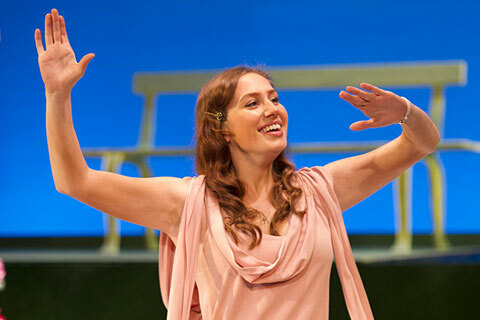 During your degree you’ll explore all areas of theatrical performance production. Concentrating on the technical and logistical aspects, your studies will investigate lighting and sound, wardrobe, set design, props sourcing, maintenance, and the management and organisation of touring theatre. You’ll also widen your skills base, developing an awareness of the administration and funding of events and small theatre companies as well as the context of theatre today. At Birmingham Conservatoire we have a vibrant, energetic and stimulating environment. You’ll be taught by our team of highly skilled and experienced staff, who also continue to work with industry. You’ll be expected to engage in a variety of professionally focused roles which will challenge you to grow as a creative practitioner. Taking on the essential duties of Assistant Stage Manager (ASM) in your first year of study, Deputy Stage Manager (DSM) in the second year, and Stage Manager in the final year, you’ll learn through experience, framed by theoretical study. Through a series of practical and theoretical lectures, seminars and workshops you’ll discover the disciplines needed to confidently and successfully bring scripts from page to stage. Working on around 14 shows per year, you progress – as you would in industry – from Assistant to Deputy to full Stage Manager roles across your three years. Your final year includes a six to eight week placement, where you experience the rigours and responsibilities of a busy stage management job. Recent placements have included the Royal Shakespeare Company, the Royal Opera House, the West Yorkshire Playhouse and Birmingham Repertory Theatre. Develop your ability to bring scripts from page to stage through intensive, challenging and exciting study. You’ll action the requests of the director, supporting the production department and working alongside the cast while facilitating the rehearsal room. If you’ve got any questions about the course, we’d love to hear from you. Please email the Course Director: Jacqui Findlay. Admission to this course is via interview. Please see our Guidance for Applicants for more information. Main deadline date 15 January 2019, 18:00 (UK time) – please note that applications submitted after the main deadline date will still be considered for the 2019 intake. This module will teach you the tasks and responsibilities of the Assistant Stage Manager during a rehearsal process and the production of a theatrical production. You’ll be required to take on the role of Assistant Stage Manager for the processes of several productions in a variety of ways. This includes: rehearsal, get-in, fit-up, plotting, technical rehearsal, dress rehearsal, and the running of a theatrical production. Within this module you’ll learn the basics of conventional lighting board operation and the safe handling and rigging of theatrical lighting. You’ll also explore the safe use of electricity, conventional lanterns, sound board operation and basic audio-visual equipment. You’ll work in a group to produce a technical installation which is open to an audience. This module teaches you the importance of costume, props and stage design. You’ll undertake practical classes where you will explore design, technical drawings, model boxes and creating designs to a given brief. You’ll also have specialist lectures that cover wardrobe maintenance, wigs, make-up and props. Throughout this module you’ll investigate some of the major reference points of theatrical history. You’ll develop the knowledge to identify key practitioners and theorists, traditions and histories relevant to theatre. You’ll also critically discuss performance events and texts, engaging in independent research and presenting this to the group. You’ll see a variety of productions to link into your studies. In lectures and production workshops, and self directed study, students will develop an understanding of the theory and practical application of those aspects of stage management which are involved in the rehearsal process. The knowledge gained in this module will be developed in practical application throughout the course, and specifically in the Practical Stage Management modules of years one,two and three. Working under simulated professional conditions, students will have the opportunity to work with a director in the rehearsal room, liaise with the production department while sourcing and making props and then take control of running the show during production week. The second practical stage management module takes place in your second year, where you’ll focus on the roles and responsibilities of a Deputy Stage Manager. You’ll learn how to identify, carry out and evaluate the tasks expected of this role on a full-scale School production, ranging from attending rehearsals and compiling the prompt copy to calling the show. Alongside this there are specialist lectures such as fight notations and score reading. Through negotiation with tutors, students will chose at least one area studied in year one Technical Theatre skills, to further develop their understanding of the safe and creative use of either: sound or lighting in the creation of performance, by working with the production team on one of the school's public productions. Students will be able to explore how specialist computer software can assist the technical design for a theatrical performance. Through negotiation with tutors, students will chose at least one area studied in the year one module, Props, Costume and Scenic Design, to further develop their understanding of the importance of either props, costume or scenic design in the creation of a performance. Students will work with industry professionals, tutors and other students in a professional theatre environment. Students will further their practical experience by becoming part of a student production team, which will have responsibility for the support of events using the studio performance space (Patricia Yardley Studio), and/or some media projects. Students will be able to explore how specialist computer software can assist the design of a theatrical performance. This module is designed to help you understand the different levels of working within an arts organisation. This module will prepare you to deal with the development of budgets, the sourcing of funding, and the marketing and selling of product. You’ll be expected to create a business plan, demonstrating your ideas in a professional manner. Through lectures and production workshops you’ll formulate an understanding of the health and safety legislation that govern theatrical productions. You’ll learn how to create risk assessments, codes and practice in relation to firearms, weapons, strobe lighting, theatrical smoke, polytechnic effects and live flame on the stage. You’ll also cover working at height and fire marshal workshops. This module will allow you to put into practice the theories, skills and knowledge you’ve acquired throughout the course. You’ll be expected to keep a reflective journal. Working under supervised conditions as part of a production team, you’ll take on the role of Stage Manager on a full-scale School production. Classes prepare you for things you may come across in the role of a Stage Manager outside of the School, such as finding a rehearsal room and dealing with difficult situations. This module offers you the opportunity to research and investigate professional employment, relating your training to the professional world. You'll have the chance to undertake an industry placement ideally of six to eight weeks at a location of your choice, allowing you to observe and explore a professional context. You'll also compile an industry research file, which is a portfolio of your research into your chosen career path and the equivalent to a dissertation. Working in a small group you'll devise and create a theatrical event. You'll be expected to respond creatively and demonstrate all of the skills you've gained throughout the course. You'll take full responsibility for the project, including budgeting, problem solving and meeting deadlines. You'll also select your chosen role and invite industry professionals along to see the showcase of your groups and individual talents. Professional development is a vital aspect of your journey. Within this module you’ll develop basic freelance skills, target potential employment opportunities and expand your knowledge and understanding of the industry. You’ll develop a personal career plan, a CV and a professional standard business plan. Assessment is by industry professionals who perform a mock interview scenario to prepare you for the first step into graduate life. 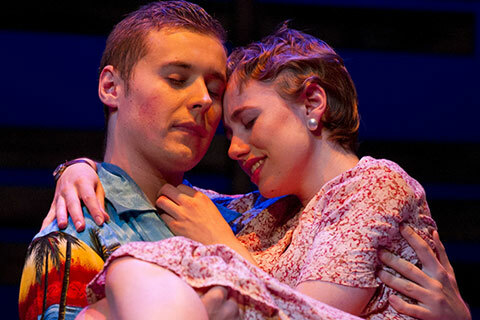 During your degree you’ll explore all areas of theatrical performance production. Your first year of study will introduce you to the demanding and essential duties of an Assistant Stage Manager. You’ll investigate technical theatre skills, as well as prop, costume and scenic design. There are three elements of study during your first year that are vital to the function of a stage management team. You’ll learn these through the Practical Stage Management, Technical Theatre Skills and Prop, Costume and Scenic Design modules. Development of the skills taught through these modules will extend your ability to work and respond creatively within a team. Through contextual studies you’ll explore the history and context of theatre today. This will teach you to understand the world in which a play is set, and which it is based. You’ll learn how to critically evaluate your role as an Assistant Stage Manager learning how to carry out the prescribed tasks. You’ll work as an Assistant Stage Manager on the School’s full scale shows, putting all of these skills into practice. Your first year of study provides a foundation for practical work that will take place in your second and third years. Your study will be delivered through workshops, studio and rehearsal based spaces. During your second year of study you’ll build upon the knowledge and skill development throughout your first year. You’ll take on the role of Deputy Stage Manager, becoming an integral part of the rehearsal process and in theatre ‘calling the show’. You’ll develop your knowledge and skills in technical theatre and props, costume and scenic design. And you’ll be expected to learn key aspects of arts administration and health and safety that will be invaluable to your career. During this year you’ll be able to delve into a more specific area of study, which is discussed within the Technical Theatre 2 and Props, Costume and Scenic Design modules. You’ll gain a wider practical experience of a real-life, professional context. You’ll do this through taking responsibility as part of a student team, running and maintaining the School’s studio performance space in your Technical Theatre Skills Two module. Your knowledge will evolve and deepen, becoming more specialised and paving the way for your final year and then on to a creative career. Your final year of study centres on practical application of the skills you’ll accumulate throughout the degree. You’ll explore the role of Stage Manager in the Practical Stage Management module during which you’ll stage manage one of the School’s full scale shows in an external venue. You’ll also work alongside your peers to create and design an event to showcase the stage management skills you’ve learnt and present the event to an invited industry audience as well as the general public. The final year will prepare you for your career. Through the Industry Research and Professional Studies modules you’ll critically reflect upon your own skills. We’ll prepare you to enter the workplace as dynamic and entrepreneurial professionals. These modules will enable you to generate project outlines and business plans for productions in a variety of venues and performance styles while preparing you for the world of work in this industry. Your third year of study is designed to help you gain a realistic sense of the pressures, deadlines, problem-solving processes involved in public performance, teaching you how these issues relate to the role of a stage manager. In this role you also supervise your own team of a student Deputy Stage Manager and Assistant Stage Managers,under the guidance of staff. 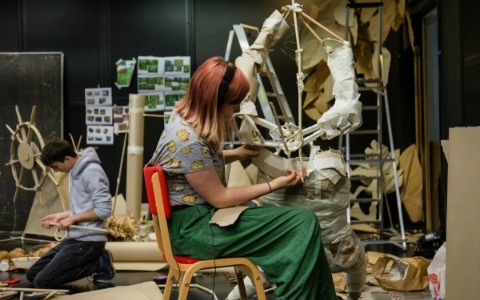 First year Stage Management students have hand crafted a new world to explore, created entirely from paper and card. This installation will transport you from reality to fantasy as it guides you through a boy's dream. 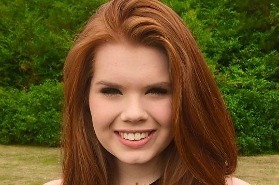 Jordan Goff is a graduate from the BA Stage Management course at Birmingham City University. "The intensity of the course is amazing. The fact you’re in theatre within three weeks of starting the course and thrown in at the deep end is, I think, a very character-building thing. My favourite moments have been my weeks in theatre, feeling the pressure and having a lot of weight on my shoulders – that’s when you really have to come in to your own. Stage management is such an evolving industry, especially with all the new technology that’s being created all the time. This course has been really good at keeping its fingers on the pulse of where the industry is going because all the VTs [Visiting Tutors] are in high positions in fantastic companies. They’re where I want to be in ten years’ time." 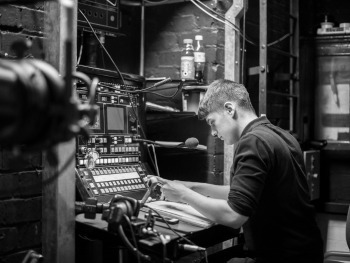 The BA (Hons) Stage Management course provides you with a clear understanding of the roles and responsibilities of a Stage Manager in a theatrical production. You’ll discover and understand the use and purpose of theatre lighting, sound and audio-visual technology. With an exploration of props, costume and scenic design, you’ll discover, in-depth, the demands of the field. We’ll provide you with the ability and skills to take on the role of Assistant, Deputy and Stage Manager. Discussions of the work of professional organisations and interests will help prepare you to take on employment within industry. You’ll develop an understanding of the use and purpose of all aspects of stage management skills, design and various technologies in the creation of production, including investigation of the health and safety requirements that govern a theatrical production. You’ll learn many transferable skills throughout your study. The course will help you develop a critical awareness of the creative possibilities that theatre provides. You’ll be able to interpret, assess and quantify the requirements of a theatrical event. You’ll acquire the ability to respond to the demands of the industry, and you’ll be able to carry out the tasks and roles of Stage Management. You’ll learn how to organise, promote and enhance your skills as a creative practitioner, and you’ll be able to work effectively as part of a team. You’ll learn how to manage personal workloads, and negotiate and pursue goals with others. During your final year you’ll have the chance to undertake a placement within a professional context relating to stage management. You’ll take responsibility for finding and organising the role, with support from the School. We encourage you to engage with ideas and theories within a practical setting, developing your communication skills and working in an authentic environment. In the past, students have undertaken placements at industry-leading organisations such as the Royal Shakespeare Company and the Royal Opera House and Birmingham Repertory Theatre. 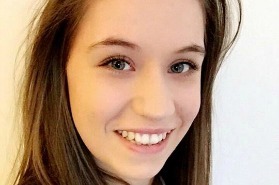 Ellie is a final year BA (Hons) Stage Management student and has recently completed her industry placement at the Noel Coward Theatre in London’s West End. Through her placement she was given the opportunity to work on plays such as Half a Sixpence, Les Miserables and Phantom of the Opera. Read more about how she secured her placement and her experiences working up until the opening night of the plays. Lauren is a final year student on the BA (Hons) Stage Management course who undertook placements at the Birmingham Hippodrome and The Rep Theatre. Lauren worked on preparing for the press night of Billy Elliot at the Birmingham Hippodrome, which was something that she describes as a “night to remember”. This placement gave her the opportunity to make many contacts, through working with people across all departments. 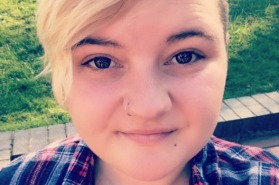 Tabi is a final year BA (Hons) Stage Management student and has recently completed her industry placement at mac birmingham and also at the Royal Shakespeare Company in Stratford-upon-Avon. Tabi describes how she managed to secure her first placement through one of the performances that formed part of the course. Tabi tells us about how being at Birmingham Conservatoire has helped her gain the skills and confidence to succeed within the industry. Throughout the duration of the three-year course we encourage you to visit as many productions as you can. This will allow you to develop an authentic understanding of the theatrical and event world. There are select opportunities throughout the course to gain industry experience. In the past, as part of the Stage Management Skills module, we’ve taken students to the Royal Shakespeare Company’s archive to observe and understand prompt copies. We aim to widen your knowledge of the industry through the encouragement of practical engagement. We also have backstage tours of the Royal Opera House and where possible observe professional technical rehearsals. In your final year of study you’ll be offered the chance to undertake a placement, which you’ll organise individually, allowing you to take on a role that is specific to your interests. 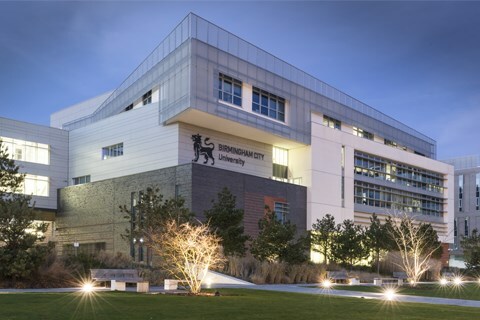 Royal Birmingham Conservatoire is based at the University’s City Centre Campus. A part of the Arts, Design and Media faculty, we are based within Millennium Point but also have access to facilities at the Parkside Building. The Parkside Building boasts state-of-the-art facilities such as radio and television studios, edit suites, photography studios, and much more. There are ten rehearsal spaces, a ‘black box’ performance studio, showers, lockers and workshop space within the Department of Acting. The ‘black box’ performance studio, also known as the Patricia Yardley Studio, is our in-house performance theatre. Using variable acoustics which can be adjusted, and housing a fully operational lighting rig and a quadraphonic sound system. Each studio contains: specialist acoustic panelling; specialist sprung floors; a heating system that radiates heat equally around the studio; and an air replacement system that maintains a constant room temperature. Students regularly perform at professional theatres across the West Midlands, including The Birmingham Central Library Theatre; Crescent Theatre; Hippodrome Studio (Patrick Centre); The Old Rep Theatre and The Drum. Discover more about the industry experts you can meet on our Acting degree courses. Jacqui Findlay is Programme Director for Stage Management - BA (Hons) and Production Manager for the school - watch this video to find out more. Jacqui Findlay is Programme Director for Stage Management - BA (Hons) and Production Manager for the school. During her freelance professional career Jacqui worked on a diverse range of projects from Shakespeare to contemporary dance via opera and panto. Many of these projects toured both nationally and internationally. Just before joining BSA Jacqui was Tour Manager for Candoco Dance Company. She has also worked in Television, Film and Live outdoor events. Since joining the university in 2007 Jacqui has written and developed the BA (Hons) Stage Management programme which took on its first students in 2008, with the aim of providing students with the ability to demonstrate a thorough practical knowledge of all areas of Stage Management. Jacqui also leads the schools professional production department who work across most courses at BSA providing support to the individual production needs. After graduating with a Master of Visual Communication Scenography, Hollie’s passion for immersive environments and dining experiences grew; working as a designer maker with experience in sculptural work and spatial design. Hollie’s professional credits span theatre, puppetry, and music festivals from Glastonbury and Download to Truck and Kendall Calling. Hollie has been lecturing on BA Hons Design for Performance and BA Hons Stage Management since 2006.